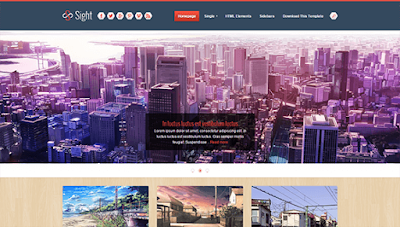 Sight is a Magazine style, premium and professional blogger template. Sight is a clean, soft, smooth and 100% fully responsive blogger template, which also offers elegant design and many other attractive features. Sight is equipped with various of widgets which will help you to publish your blog more professionally. To make it easy for you we have published this detailed documentation, so that you can setup your blog correctly. Red is for image and blue is for text. Access your blog Layout > click Edit link on Testimonials widget. A pop up will appear and in the content section you will see the below code. Red code is for text, Blue is for Image.